Sharon K. Johnson | Fafinski Mark & Johnson, P.A. 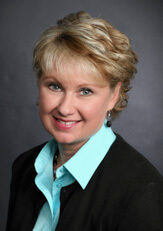 Sharon is the Chief Operating Office at FMJ and has been with the firm since its inception in June of 1999. As COO, Sharon is responsible for the firm’s administrative functions, day-to-day operations, and oversees the firm’s financial management. She works with FMJ’s administrative professionals to ensure exceptional quality and integrity of work. In addition, she collaborates with FMJ’s Board to create and implement the strategic plan for the firm. She has worked her entire career in the legal field, at both large and smaller law firms in four different states. After living on the West Coast and in the Southern United States for 16 years, Sharon moved back to her native Minnesota in 1998. After raising her two sons, Sharon now enjoys all outdoor activities, particularly kayaking, time at the lake cabin and has recently taken up the great sport of golf, hoping one day to be good enough to be somewhat competitive on the course with her sons.